This evening, the Skerries team were tasked to investigate reports of a jetskier in difficulty near Skerries harbour. Several vigilant members of the public had contacted the Coast Guard on 999 having spotted the person in difficulty in the water. The Coast Guard’s National Maritime Operations Centre immediately tasked the Skerries Coast Guard team along with the Skerries ILB. Fortunately, a local boat onscene in the harbour area was able to render immediate assistance and bring the person to safely to shore, no further action was required. 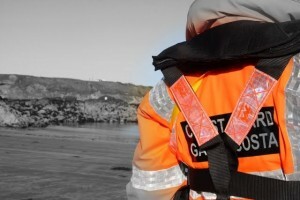 Remember – if you spot someone in difficulty on the coast dial 999 or 112 and ask for the COAST GUARD. Your call could save their life. This entry was posted in Callouts and tagged Callouts, Incident, Irish Coast Guard, Jetski, skerries coast guard, Skerries harbour by Skerries Coast Guard. Bookmark the permalink.